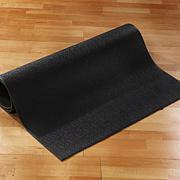 This high-quality equipment mat helps protect your floors from damage that workouts can inflict. 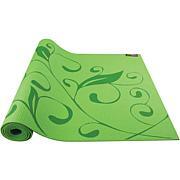 Use the Stamina Fold-To-Fit Equipment Mat with almost any of your exercise equipment in any space. The closed cell foam material is tough yet soft enough to absorb impact, eliminate vibration and to help stop carpet fibers from getting into the moving parts of your equipment. It's ideal for stationary bikes, elliptical trainers, steppers, rowing machines, weight benches, mini trampolines and more. Very nice, perfect size I bought two(2)! 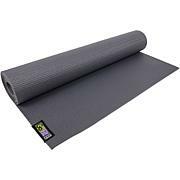 I purchased this mat because it is non-slip and the perfect size for my piece of exercise equipment. The quality is excellent and very well made. I highly recommend this mat. 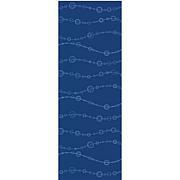 I ordered this mat to use under my Tony Little Gazelle fitness equipment. I am very pleased with it. I chose this mat because I can "customize it to the "footprint" of the Gazelle. The matt is well made and provides a sturdy non-slip surface; in addition, it cuts down on noise when the machine is in use. This is a good mat. I have been impressed with Stamina products for years.